A simple swipe saves you time and money while you focus on your studies at the University of Prince Edward Island. Our dining plans offer students and guests a flexible dining experience - we have a plan for everyone! Pick the plan that fits your needs. We have a variety of plans available. 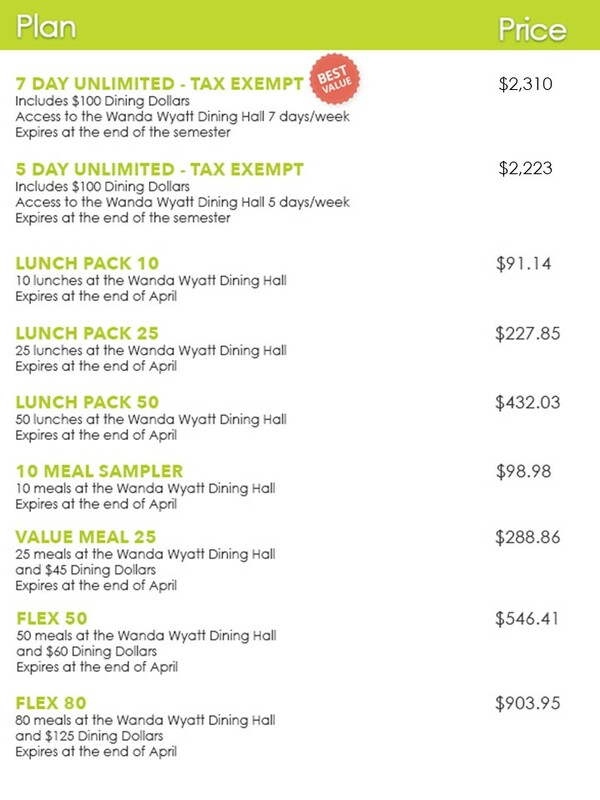 For ultimate flexibility we recommend a plan with Meal Swipes for the Wanda Wyatt Dining Hall and Dining Dollars for all our other retail dining locations on campus (Samuel's Cafe, the AVC Cafe, The Courtyard Cafe, The Micromarket). Please purchase your Commuter Dining Plans at the Residence Office located in the Bill & Denise Andrew Hall.